Like a lot of people, I do a lot of thinking in the shower. I mentally map out my day, think about what I need to do, and I often think about blog topics. Of course by the time I’m done, dressed, and moving on to my day I’ve forgotten or don’t have time for half the things I thought about in the shower. I see a blog on a creative site from 2 perspectives. Either it has a lot of posts because they have time and energy to post, or there is almost nothing there because they’re busy and don’t have time. At the moment I’m a more of the latter with a sprinkle of blog neglect forgetfulness thrown in. I was working at a conference a few years ago when the topic of taking notes in the shower came up. I’m not making that up, it was an interesting discussion. 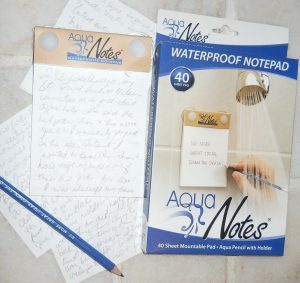 What made it more interesting is that there are waterproof marker boards and notepads specifically made for taking notes in the shower. Feel free to search ‘waterproof notepad’ on Amazon when you have a chance. 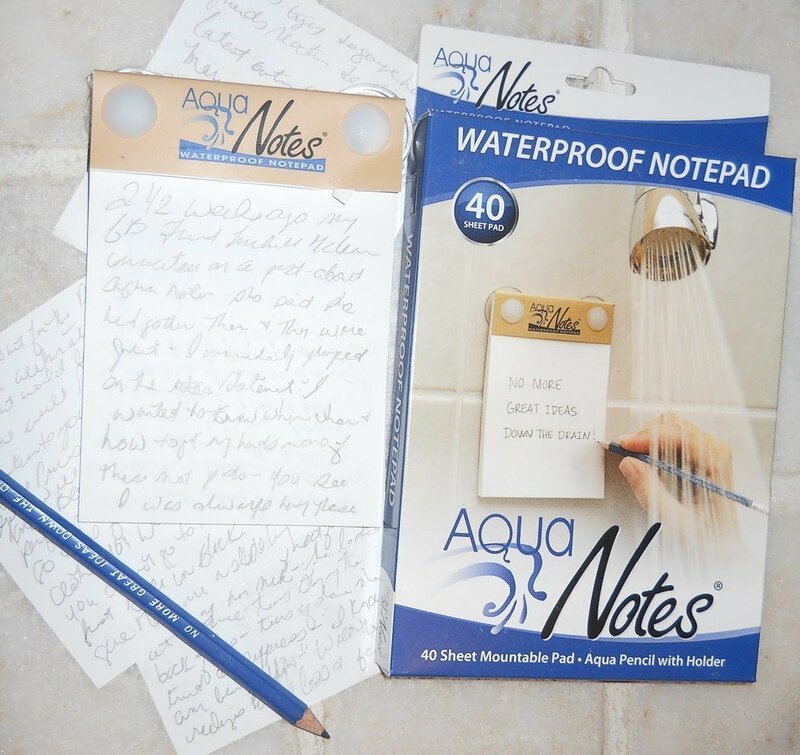 So why am I writing and thinking in the shower and waterproof notepads? Because that’s what I was thinking about in the shower this morning. That and scheduling more time for my own blog while doing all the other work that has been keeping me pretty busy lately.